If you suffer from food allergies, you may be worried that you will have to constantly battle your symptoms for the rest of your life. While you will need to continue to be aware of your allergy triggers, your allergy doctor can offer treatment options to help minimize your allergy symptoms. Sublingual immunotherapy, or SLIT, is one of those treatment options. Undergoing SLIT for food will not eliminate your allergies, but it can help increase your tolerance for the foods you are allergic to. 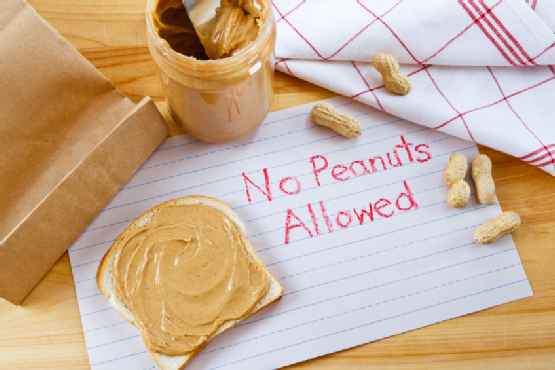 In fact, one study found that patients with peanut allergies who were only able to eat less than one peanut before SLIT were able to eat seven peanuts before experiencing an allergic reaction after undergoing the treatment. SLIT for food allergies generally takes six to eight months to complete. The process involves placing a food extract on the patient’s tongue, which is held there for two minutes and then swallowed. The dose of the extract is gradually increased as the patient’s tolerance improves until a dose that is considered adequate for maintenance is achieved. Are you interested in SLIT? If so, Allergy & Asthma Specialists can help. Contact us online or at 1-800-86COUGH to schedule an appointment with one of our allergy doctors in the King of Prussia area.